Before getting into this, I have to admit to a personal bias for the Uncharted series. There was a sad period in my life when I intended to give up my gaming ways after the PS2 generation. Sure, I’d enjoyed a torrid love affair with videogames since childhood, but decided it was time to let them go. Then one day a friend showed me Uncharted 2…and I owned a PS3 within a week. There’s something about the way Naughty Dog fused the language of blockbuster action movies with traditional action and platforming gaming elements that appealed to my lizard brain. This is the series that confirmed me as a gamer for life and so it was with childish glee (as well as some mild depression regarding Uncharted 4’s removal from the Christmas release line up) that I picked up my copy of The Nathan Drake Collection to dive back in…and thankfully, I wasn’t disappointed. First off, it has to be said that this collection is a straight-up remaster and repackage of three PS3 blockbusters. There is no new content here, not even a demo for the upcoming PS4 sequel. Nope, the disc is just serving up three classics with a fresh coat of paint. All of these beauties now hum at 60 frames and burst off of your TV screen in 1080p. To cram all that onto a single disc, that means the developers ditched all of the old “making of” goodies and even the multiplayer modes for the two sequels (although anyone who buys the collection will be able to access the Uncharted 4 multiplayer beta in December to ease that pain). The only new options are the ability to take gameplay photos on your PS4 (yay?) as well as a new literally painless easy Explorer mode and an unlockable Brutal difficulty mode that lives up to its title. Thankfully, the games themselves are more than enough to make this disc a worthy addition to your PS4 library. Unsurprisingly, 2007’s Uncharted: Drake’s Fortune benefits the most from the remastering process. While the game was ground-breaking at the time, 8 years is a long time in the gaming world and the plastic HD visuals loaded with screen tearing aren’t that impressive these days. Fortunately, the team in charge of sprucing up Drake’s Fortune went all out, loading on softer textures, more detailed character models, and gorgeous lighting effects— they even improved the troubled aiming system slightly. The result is one hell of a facelift that returns the wow-factor to a game that was showing its age. 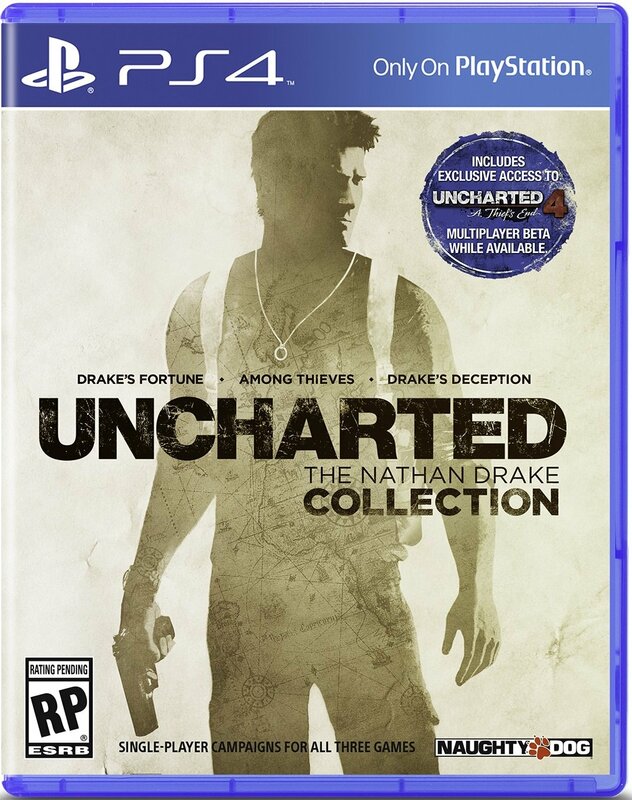 This is a thing of beauty that will have even the most hardened Uncharted fan excited to play as Nathan Drake again. Sure, the scale of the action isn’t quite on the level of the sequels and the final third gets a little repetitive with its endless “hide n’ shoot” sequences, but there’s still no denying that the work that went into cleaning up this title is damn impressive and shows a massive improvement. As for Uncharted 2 and 3…well, the remastering isn’t quite as dramatic. That’s not a knock on the developers, though. If anything, it’s a compliment to how damn good these games looked in the first place. Aside from touching up the lighting effects and the 1080p/60fps boost, the games are pretty much exactly the same as they were before. Of course, that means that Uncharted 2 remains quite possibly the greatest action a game ever made, overflowing with astounding set pieces at designs. It’s a milestone and a masterpiece that is always worth a replay. As for Uncharted 3, the tech specs are a slight step up and there are some incredibly clever level designs (the desert hallucination sequence remains a favourite of mine for its immersive and creative design), but the developers put a little too much emphasis into trying to outdo U2 rather than creating a fresh experience. Much of Uncharted 3 feels like a remix of Uncharted 2 and the revised hand-to-hand combat isn’t quite as smoothly implemented as promised. Yet, that just means that it’s one of the greatest action adventure games ever made rather than the greatest. So…you know…not a bad pay off. To get all three Uncharted games on a single disc (along with the upcoming multiplayer beta) is nothing to sniff about, especially considering the incredible work done to bring Drake’s Fortune up to the aesthetic standards of its superior sequels. If you’ve never played these games before, then this could quickly become your favourite PS4 disc. 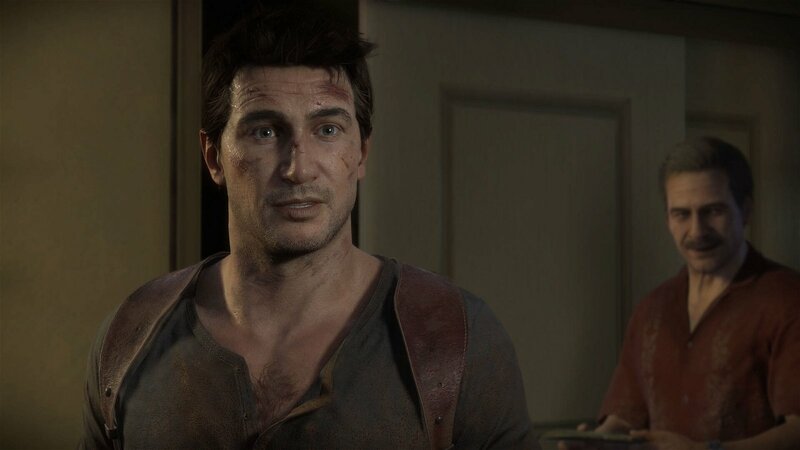 Even if you have, this is a worthy excuse to plow through Naughty Dog’s trilogy of action gaming masterpieces again to gear up for the release of Uncharted 4: A Thief’s End in March. Sure, a little more extra content would have been nice, but when you get three full brilliant and beautiful games on a single disc, it’s hard to complain too much. Uncharted: The Nathan Drake Collection is a slice of action gaming joy well worth a look for fans of the series and an absolute must-own for newbies. 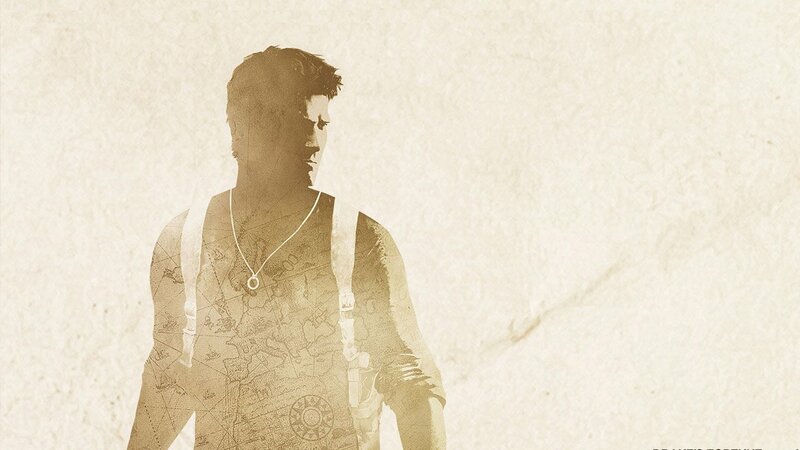 If you’ve never dabbled in Uncharted, get it immediately. You are about to have so much fun with a controller in your hands that it should probably be illegal.